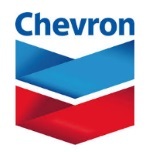 édité le 25/03/2015 - Plus de news de "CHEVRON" - Voir la fiche entreprise de "CHEVRON"
Chevron Corporation announced today that its subsidiary, Unocal Myanmar Offshore Co., Ltd., has entered into a Production Sharing Contract (PSC) with Myanma Oil & Gas Enterprise (MOGE), the national oil and gas company, to explore for oil and gas in the Rakhine Basin. The new PSC area, Block A5, lies 125 miles (200 km) offshore northwest of Yangon, and covers more than 2.6 million acres (10,600 sq. km). Unocal Myanmar Offshore Co., Ltd. will be the operator of the block with a 99 percent interest. Royal Marine Engineering Co., Ltd. (RME), a Myanmar company, will hold the remaining interest in the block. "Chevron is committed to exploring Myanmar's energy potential," said Brad Middleton, managing director, Chevron Asia South Business Unit. "The exploration of this block is aligned with Chevron's long-term strategy to find and develop resources that will help meet the growing energy needs in the Asia Pacific region." "We are pleased to have reached this milestone," said Scott Neal, President of Unocal Myanmar Offshore Co., Ltd. "This agreement expands our partnership with MOGE and Myanmar. We have a 20-year history in Myanmar and we look forward to supporting the continued development of the nation's energy sector through our exploration program,"
In addition to Block A5, Chevron has a 28.3 percent non-operated interest in a PSC for the production of natural gas from the Yadana and Sein fields, within Blocks M5 and M6, in the Andaman Sea. The company also has a 28.3 percent non-operated interest in a pipeline company that transports most of the natural gas to the Myanmar-Thailand boarder for delivery to power plants in Thailand. The remaining volumes are dedicated to the Myanmar market.